As a Woodruff orthodontist, we work to create beautifully straight smiles. Patients throughout the 54568 area trust us to transform their crooked teeth and misaligned bite into the perfect smile that looks and feels amazing. The first step is to schedule a consultation so that we can examine the teeth and jaw, discuss what you do not like about your smile and make a recommendation for a customized treatment plan. Each person is unique. You will never find a smile that is exactly the same as someone else’s. While many people come in complaining of similar issues like an overbite or gaps between their teeth, we base our treatment of those problems on the entire picture. We take into account the health of the patient, their age and oral health issues, before determining which orthodontic solution is best. If you live in Woodruff, WI call (715) 972-8573 to schedule an appointment with Dr. Joshua Bruce and discuss which types of braces are right for you. At Bruce Orthodontics, we offer traditional metal braces since they are still one of the most effective ways for straightening teeth and transforming smiles. While these types of braces have been in use by orthodontists for decades, the technology continues to improve. In the past twenty years, the metal brackets and wires have become significantly smaller. 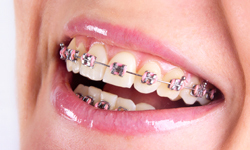 Metal braces are more difficult to see and no longer monopolize a patient's smile. While the metal is still obvious, more of the natural tooth shines through. 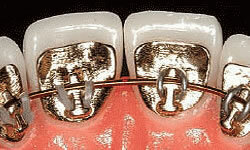 Traditional metal braces work by having Dr. Joshua Bruce place a metal bracket onto each tooth. The bracket looks like a small rectangle. Once secure, we thread a thin metal wire through the brackets. We then ensure the wire stays in place by using rubber bands. Kids have the ability to select the color of their rubber bands, and can change them at each visit. Kids are able to have some fun with the rubber band colors based on their mood or the holiday season. For example, they can have their rubber bands match the colors of their favorite football team during the playoffs. Patients throughout Wisconsin often ask us about clear ceramic braces. This is an excellent solution for patients who want to straighten their teeth, but do not want anyone to notice. 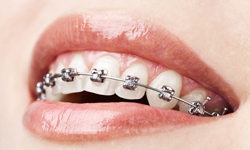 Since the ceramic bracket is difficult to keep clean and take care of, we usually recommend ceramic braces for adults. If you stain the bracket, your tooth will appear as the stain color for the rest of the treatment process unless we replace it. A child may not be able to handle such a large responsibility, which makes metal braces a more practical solution. As an orthodontist, the process for applying ceramic braces is similar to metal ones. The main difference being that the bracket is a tooth-colored ceramic material instead of metal. Simultaneously, the wires can be made of a tooth-colored material as well. This helps them to blend in, something that our Woodruff patients appreciate. These types of braces are unique and not suited for everyone. At Bruce Orthodontics, we do not recommend lingual braces for complex cases as it is difficult to access the brackets and wires. 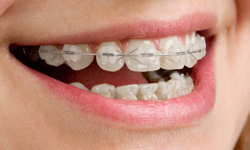 While lingual braces are of the same materials as metal braces, we place them behind your teeth. The placement makes them difficult to notice, an excellent choice for those who want to straighten their teeth discreetly. The challenge with lingual braces is that they are difficult to access, making them an inferior option when the patient needs to complete more complex bite adjustments. They are also more expensive due to the additional labor time that goes into installing and maintaining them. 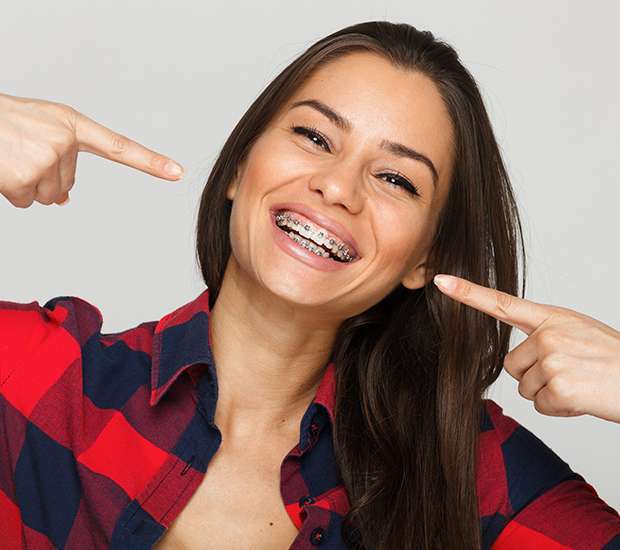 While patients enjoy that lingual braces are virtually invisible, some do complain about the discomfort of having metal brackets and wires in that position. If you are considering this option, we recommending calling 715-972-8573 and scheduling a consultation with Dr. Joshua Bruce to discuss the procedure in further detail. For those that do not want to wear brackets at all, Invisalign®, also known as clear aligners, is an ideal option for straightening teeth. Patients throughout Woodruff wear aligners without anyone else noticing. Invisalign® is a set of clear aligners that surround both your upper and lower teeth. We have a dental lab create the aligners after taking several impressions of the patient's teeth. Each aligner targets specific tooth and moves the teeth closer to being straight. The patient switches out the aligner with the next one in the set every few weeks to a month. After using all of the aligners, the teeth will be perfectly straight. This is an ideal solution for people that have busy lifestyles and do not want to visit the orthodontist on a regular basis. While some checkups are necessary, they are less frequent because lab technicians create the aligners in advance. Another advantage patients experience when wearing aligners is that patients can remove them while eating and brushing their teeth. However, a patient will need to wear an aligner for 22 hours a day. Patients throughout the local area find it convenient that they can continue eating their favorite foods and caring for their teeth while receiving an orthodontics treatment. As a result, there is a lower risk of staining or damaging aligners when comparing them with traditional braces. 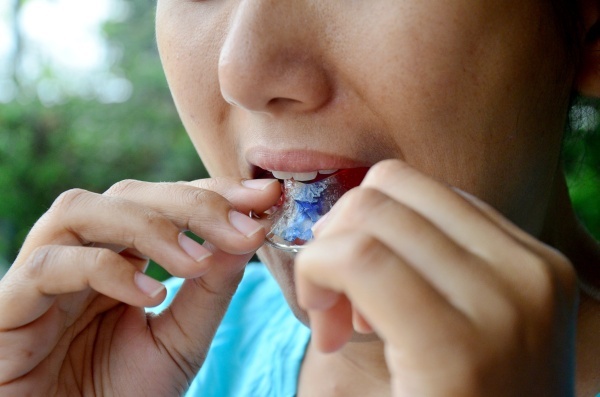 The drawback is that aligners can be more expensive and are easy to lose by accidentally throwing them away. 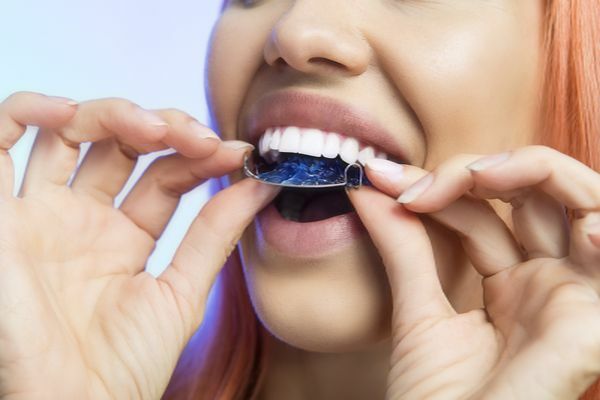 At Bruce Orthodontics we will recommend that patients keep their aligners in a special case to help prevent patients from throwing the aligners away in the garbage. At Bruce Orthodontics, we offer several types of braces so that you, our patients, can select the option that works best for straightening your teeth. Our treatment plan will not encumber your lifestyle or work requirements. As an orthodontist, we can help you to select the option that works for you now and in the future.